Come pick your pumpkin at our gorgeous farm! Our beautiful landscape will leave you breathless and you will be completely caught up in the Fall festival season! This is the perfect place to bring the kids and take pictures as they pick out their pumpkins! There is something for everyone at the West Portal Pumpkin Patch in Asbury, NJ. Just an hour drive from New York City, conveniently located off of Route 78, this pumpkin farm offers the usual hayrides, corn mazes, animal petting area and of course, pumpkin picking. But what sets it apart from so many other farms is the absolutely beautiful setting it is in. 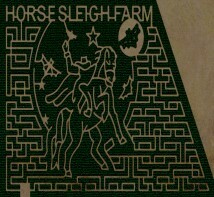 This year we themed our corn maze Headless Horseman 2011! You are guaranteed to LOVE this corn maze! We have 12 acres for you get to lost in and have fun in! We are the BEST! This HUGE adult corn maze (10+ Acres) is estimated to take at least 1.5 Hrs - 2.5 hours. The children's maze (bottom left) which would take 35 minutes to complete. The cornmaze is a great experience for families, scouts, youth groups, corporate events, birthday parties and more! You can book the maze in conjunction with a campfire hayride, educational hayride or a birthday party. Come on by for some great Halloween fun with friends and family! For the year 2009 our cornmaze theme is renewable energy sources. The maze design is a sun cascading over the rolling countryside. As you make your way through the maze you will find pictures, clues and games to make learning about renewable energy fun. We are the definition of family fun! We have a multitude of activities for you to enjoy in September and October! Our corn maze is extremely fun for all ages! It's a GIANT corn maze! We also have pumpkin picking, hayrides, wagon rides, a moonbounce, farm animals, and hay bales to climb on! This year's corn maze is a picture of an iron mine worker as a tribute to Chester NJ's rich iron mining history. Our corn maze is open all day everyday until Thanksgiving! Come to Alstede Farms to pick your own pumpkin! Enjoy the fresh autumn air while choosing the perfect pumpkins to adorn your home. Picking your own fruit, vegetables or flowers is a wonderful family or group activity. Walking outdoors, breathing in the farm fresh air and taking in the sights and sounds of the farm is like a little vacation away from your regular routine. We offer many different items for you to pick. We wish to make your every visit to Alstede Farms memorable. Whether you stop in for a fresh, juicy peach, visit our friendly farm animals with your grandchildren, or simply seek quiet solace and escape from the rat race by visiting our farm; we are dedicated to running a business that contributes to your quality of life. Come to our pumpkin patch to pick out your favorite pumpkin this October! And carve your pumpkin in order help those suffering from cancer! This Halloween, Dearborn Market in Holmdel will be sponsoring Carve out a Smile, a fundraising event to help improve the lives of children and their families suffering from cancer. On Saturday, October 25th and Sunday, October 26th come to our Dearborn Market, make a $10.00 donation and Enter to Win our Carve out a Smile contest. Carving will take place from 10am to 4pm on both days. Your entire $10.00 will be donated to The Frances Foundation for Kids, a local organization improving the lives of children with cancer. You will receive a pre-scooped out carving pumpkin and carving tool. Carve us your best design and you could win a $50.00 Dearborn Gift Card as 1st prize. 2nd and 3rd prizes will also be awarded. This year’s Cornfield Maze promises to be AWESOME! We hope to challenge the wits of those who seek to find the one exit from our mind-boggling puzzle — a unique source of good farmin’ fun for adults and children alike. 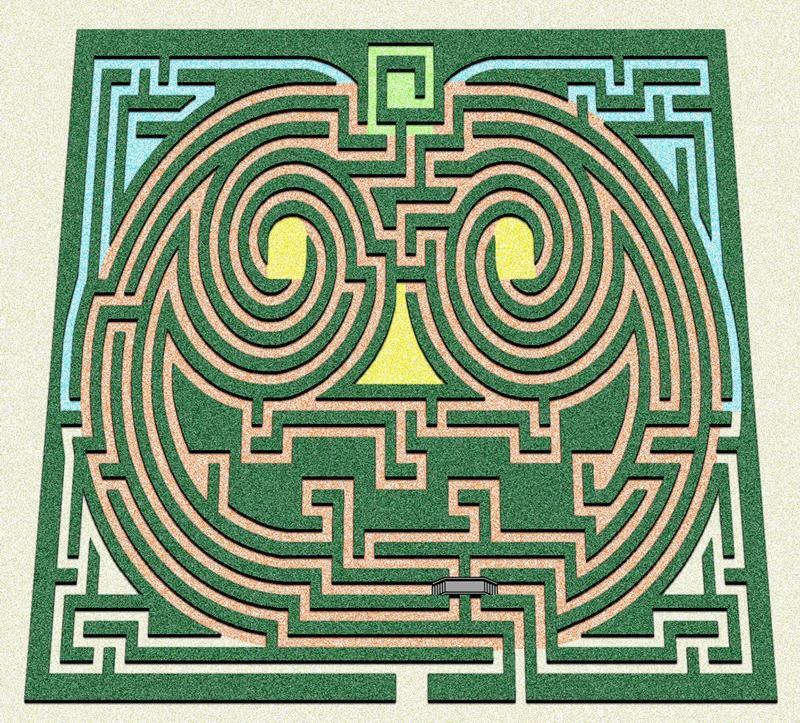 Though the correct pathway can be walked in only 15 minutes, most wandering maze-goers will require about one hour to travel through more than three miles of twists, turns and decision points. To help you navigate through the MAiZE, use our Cornundrum signs, passports, or our interactive ‘Corn Text’ game… New for 2009 and guaranteed FUN for all ages! Tickets for the entire MAiZE are $8 each and include a free hayride pass redeemable on weekends in late September and October. If you think the 5-acre MAiZE may be too much for you, try Phase I of the MAiZE…for only 5 tickets. Our 2009 maze is designed in the shape of the Brothers Helping Brothers Firefighter’s Organization logo, and MAiZE proceeds will benefit that organization. 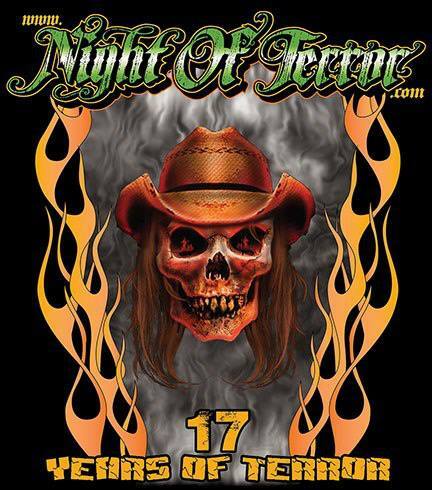 One of New Jersey's Premier Haunted Attractions, Night of Terror creates an unforgettable experience including new in 2013 Zombie Mayhem and Cornfield Maze!! Your DO NOT want to miss our Ride of Terror....Do NOT come alone! Load up the kids and come on over to Springdale Farms this October for some Halloween fun! We have some of the best pumpkins around! With a variety of activities for all ages, the entire family will love it here! Come down on the weekend to enjoy a relaxing hayride around the farm and pick a pumpkin from our patch. Rides go out hourly on Saturdays and Sundays from 11am to 3pm. There's no better way to do it! Visit our corn maze! The cornmaze is a great experience for families, scouts, youth groups, corporate events, birthday parties and more. You can book the maze in conjunction with a campfire hayride, educational hayride or a birthday party. Flashlight Fridays! Come experience the cornmaze in a whole new way, in the dark! The cornmaze is open on select Friday nights only from 6pm-10pm. Please bring a flashlight with you! Family owned and operated since 1952. 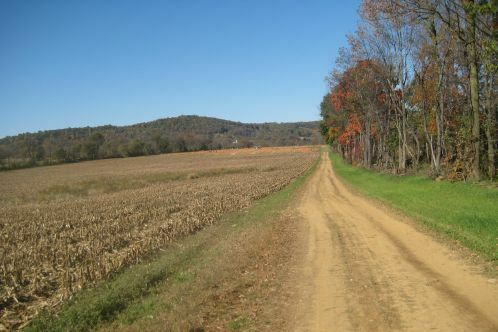 Grochowicz Farms, LLC is preserving the family farm by serving the community with quality farm fresh and homemade products as well as unique wholesome fall family fun! 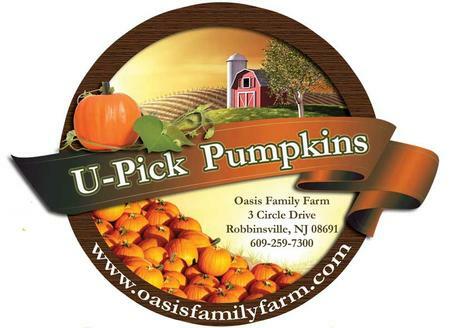 Pick your own pumpkins with several varieties to choose from! Large selection of food and snacks, including fresh baked goods and seasonal soft and hard ice cream. Gourmet pies, jams and jellies, honey, Halloween novelties, Fall decorations, gourds, Indian corn, cornstalks, small and large straw bales available. 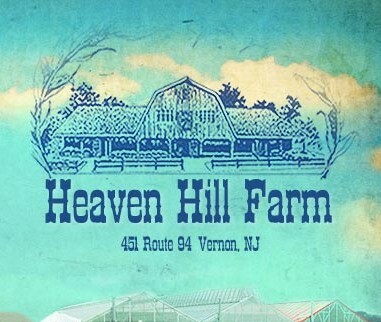 This is the most fun family corn maze in the state of New Jersey! We have a specially designed maze just for you and your family! Come have fun with us! All new for 2009, the Corner-Copia Family Fun Maze features a barnyard and animals scene designed by acclaimed corn maze carvers, Maze Play. This dazzling, 10-acre maze includes more than two miles of potential pathways, making it easy to lose yourself in some good, old-fashioned family fun. Welcome to R and J Farm in Galloway, New Jersey in Atlantic County. Pack the family in the car and make plans to spend some time with us. R and J Farm offers a corn maze, hayrides to the pumpkin patch, farm stand, rope maze and hay pit. On weekends we have pony rides from Marshall Steve, and face painting. Our Cornfield of Terror enters its 5th year and this promises to be the best yet! After getting scared to death grab some munchies and sit and watch free movies on outdoor movie screen. A fun night out enjoying lighted pumpkin displays, a haunted house showcase, entertainment, and treats in the Black Hat Cafe. 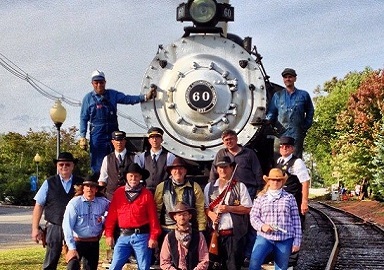 Board your train at Flemington Station and enjoy the ride to Pumpkin Junction! Every Saturday and Sunday in October. Attractions at Pumpkin Junction include: •Corn Maze •Toddler's hay bale maze •Picnic area •Music and entertainment with games and prizes. •Kids craft area. •Small petting zoo. •Scarecrow display. •Pumpkins for sale in the pumpkin patch (cash only). •Light refreshments and souvenirs for sale (cash only). •Horse drawn carriage rides (additional fee, cash only). 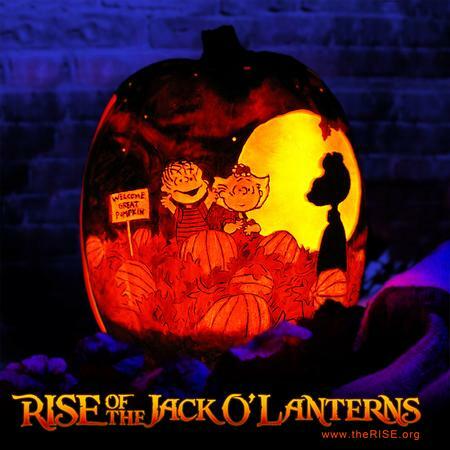 Don’t miss RISE of the Jack O'Lanterns as it makes its much-anticipated NJ debut from October 27-30, 2016! See 5,000 hand-carved illuminated jack o’lanterns creatively arranged along a scenic walking path and set to a musical score. A unique, family-friendly experience, RISE will include characters from American pop culture, multi-pumpkin artistic structures including life-sized dinosaurs and dragons, and intricately carved 100-pound pumpkins. With multiple live carving stations, visitors can also watch talented RISE artists create the different displays seen in the show. The pumpkin trail at RISE of the Jack O’Lanterns is indoors, well-lit and well-staffed to ensure that the fun is always safe and enjoyable for visitors of all ages. Advanced tickets REQUIRED. 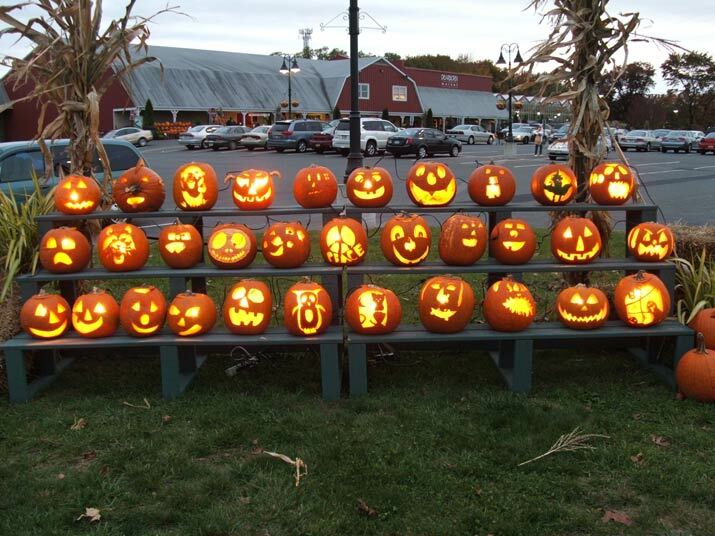 Find the best Halloween attractions in New Jersey, pick your own pumpkin patches in New Jersey, corn mazes in New Jersey, Halloween hayrides in New Jersey, and Halloween events that include attractions like face painting, face painting, pony rides, inflatables, Halloween hayrides, and places you can go and pick your own pumpkins in New Jersey. Each Halloween hundreds of Halloween events for kids open each year in New Jersey. 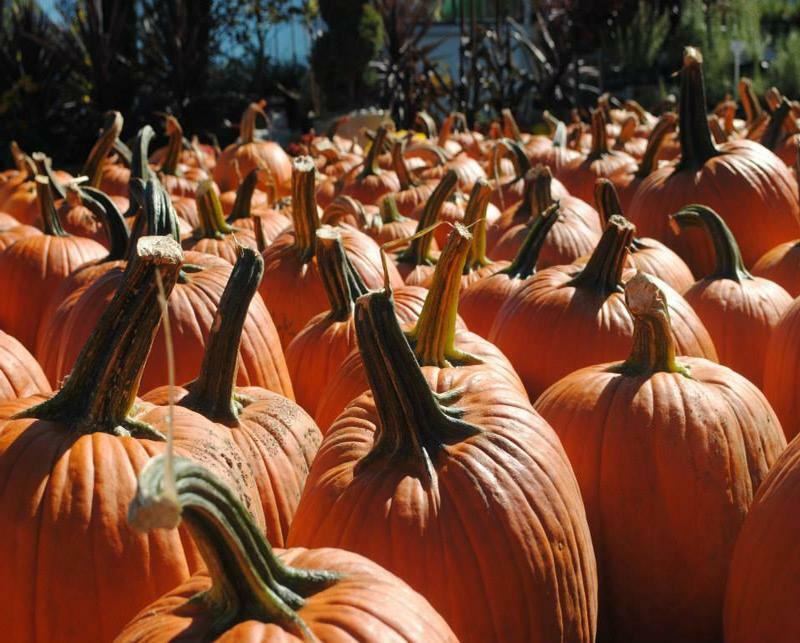 Do you want to pick your own pumpkins and bring the kids where New Jersey pumpkin patches includes other events like hayrides, corn mazes and more? Halloween Attractions helps you find simply the best and spookiest Halloween family fun in the state of New Jersey. Farmers across New Jersey have turned their family farm into massive Halloween events where guests are allowed to pick their own pumpkins, corn stalks, while having a fun Halloween Experience inside one of New Jersey's biggest and best Halloween Attractions. Corn Mazes have become a staple attraction inside these mega Halloween Attractions in New Jersey where farmers create detailed patterns in a corn field and guests must find their way through the maze of corn. Additionally one of the new traditions inside these Pick Your Own Pumpkin Patches in New Jersey is the hayride where guests board a wagon and farmers pull you around spooky sets. Halloween Attractions in New Jersey are huge over the top Halloween Family Fun for everyone no matter if you are looking for a New Jersey Corn Maze, or Halloween PIck Your Own Pumpkin Patch in New Jersey www.HalloweenAttraction.com is the single best source to find everything Halloween this October we want to help you locate all the best halloween events in and around the Newark, Jersey City, Paterson, Elizabeth, Edison, Tenton, Toms River and Vineland, New Jersey, areas. If you are looking to find the best Halloween events and more, find everything you need at www.HalloweenAttractions.com. Some Halloween Attractions in New Jersey will feature a haunted house for kids in New Jersey and or simply a haunted house. Many of these Halloween Attractions in New Jersey will run daytime family oriented Halloween Attractions during the daytime and haunted houses at nightime. Make sure you check their website to find out of the daytime events are different than nightime events just in case you have young children. Haunted Houses in New Jersey on family farms are simply put another way for farmers to earn additional revenue which in turn helps keep the family farm from going under. Try to support your family farmers and visit their Halloween Attractions instead of taking the easy way out and visiting some mega retail store to purchase your pumpkins. Grab your family video camera and head out to a Halloween Corn Maze in New Jersey, and get out there and pick your own pumpkins in New Jersey.